A casual walk around the garden this morning, enjoying the damp quiet, no real goal. Here's what I found, what caught my eye. It's almost universally agreed -- but not unanimously so -- that the Kosmik Kactus that I saw last winter at Home Depot were an abomination. 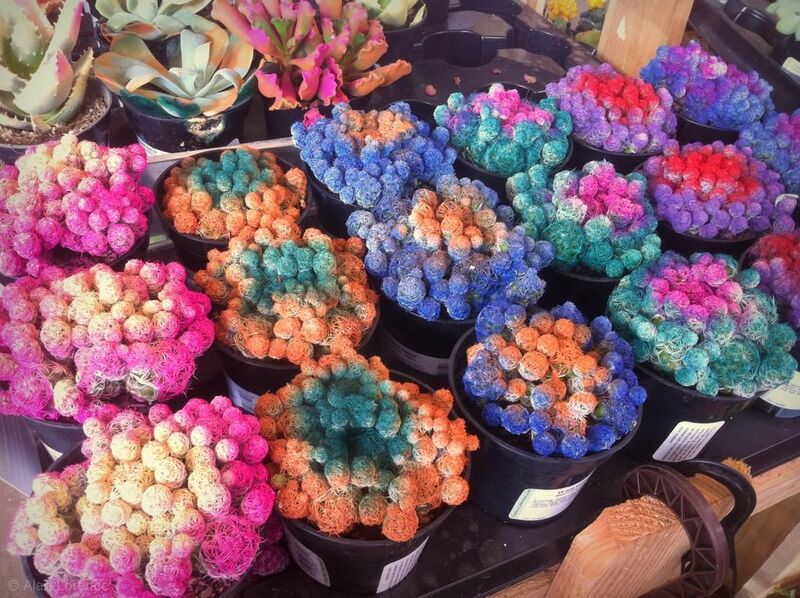 Those dyed cactus and succulents just looked too wild, and their colorful tones would soon fade. Would their owners lose interest and let the plants suffer, or get rid of them entirely? Well, I hate to say it, but after seeing today's post you're going to wish for the older-style Kosmiks I think. 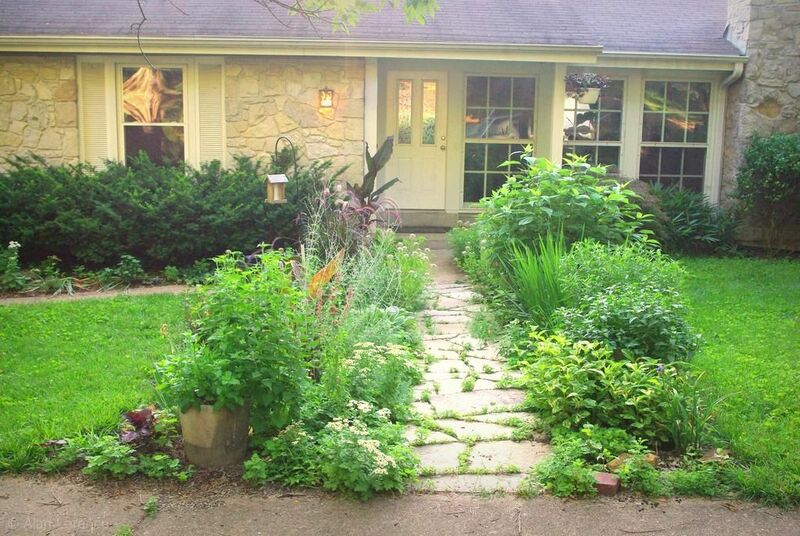 As you may know, this past Sunday my garden was one of 46 on the St. Louis Sustainable Backyard Tour. The 75-100 visitors who saw my yard had lots of questions and hopefully liked what they saw. Today I'll try to recreate their experience for you, taking you on the path around my yard that most people took. There are many photos in today's post, so let's jump in! People usually started with the walkway garden, as it is the first thing they saw. The south side of my house has always been a challenge to plant. 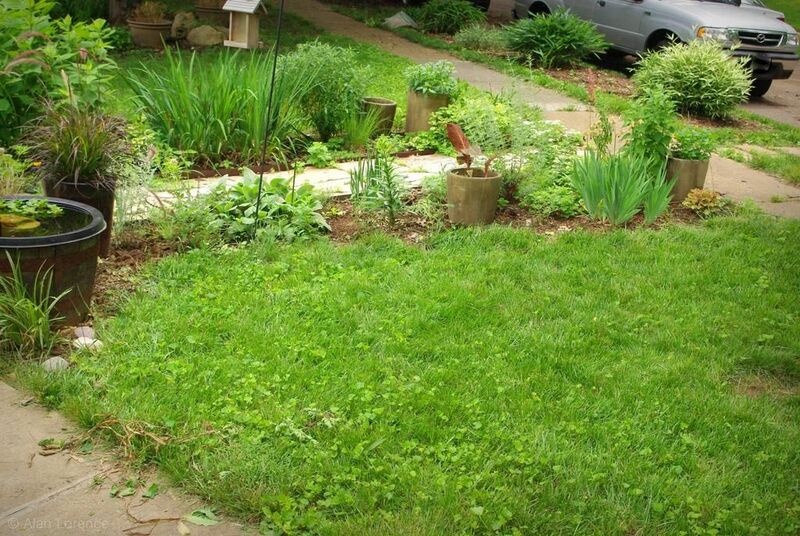 Hard-packed clay soil, a fairly steep slope, sun-baked in summer but full shade in winter. With the addition of my cactus beds over the last two years though, it's become much better. Maybe even special. It's not yet finished though, because one of the mounded beds I created to help improve drainage was lacking. It just didn't look as good as it could. 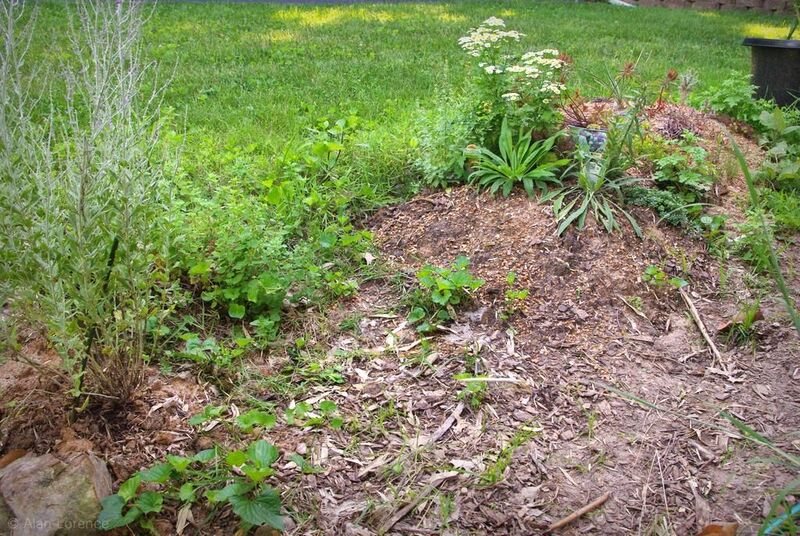 If you've ever tried to photograph a mound of soil you probably know what I mean -- you just can't make it look good. It's not interesting enough. 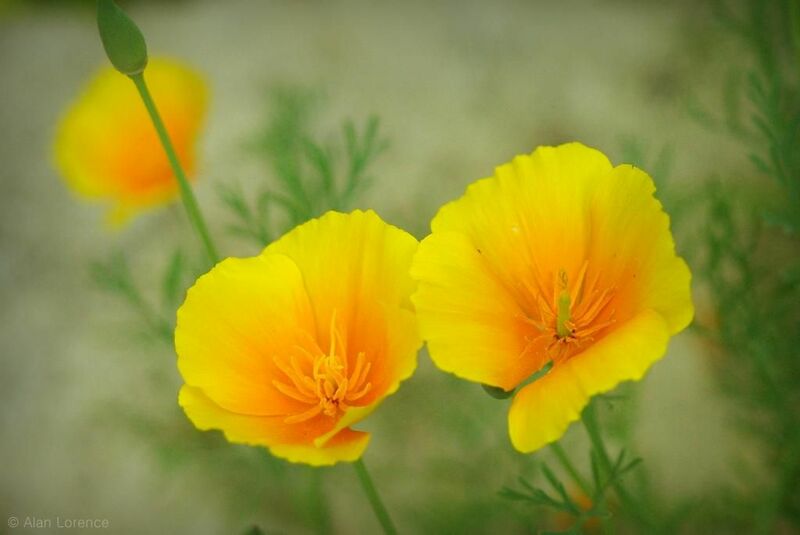 A few nice things for Friday, starting with California poppy blooms! I'm really excited about these, because it's rare that I actually get these to germinate and bloom. I sprinkle a couple of seed packets every year, but this is the first that I've gotten more than one plant out of them. These things happen gradually, but the pond is starting to look quite nice again. The water has cleared up somewhat and I can see the fish again -- it turns out that the heron did not eat all of the big fish, as I've seen two of them hanging around under the lily pads. 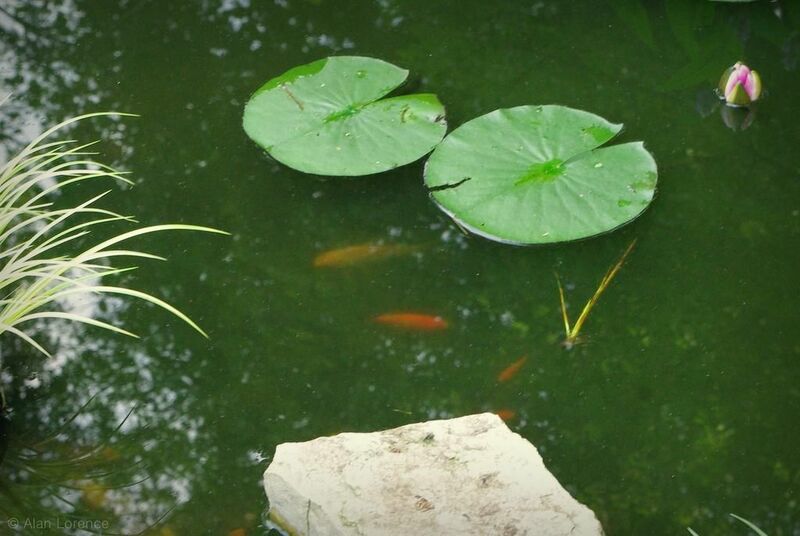 As you may remember, observing the pond is one of my biggest time wasters favorite things to do in the garden, as I can be in the middle of some other task and end up watching fish for ten minutes. Want to take a look? 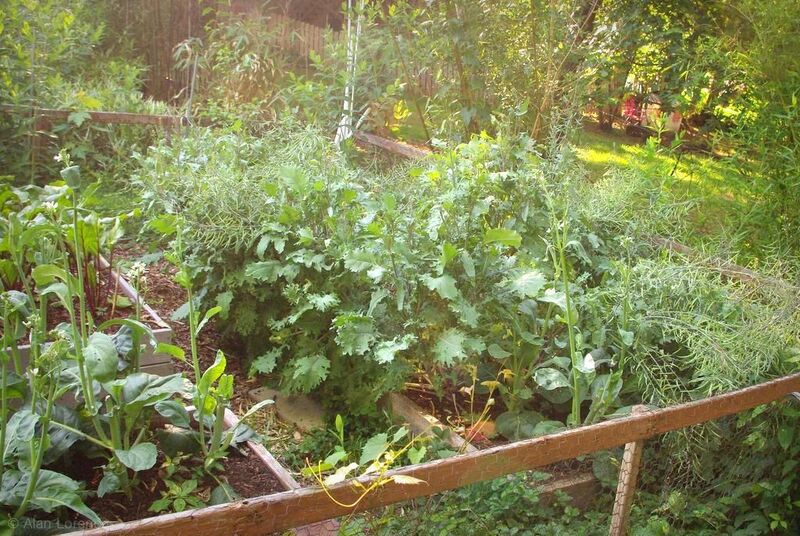 I'm talking about my veggie beds, where I always let crops linger too long. I really should remove things as soon as I'm finished harvesting, but I let them stay, hoping for extended production. In this specific case I'm talking about my kale, which I planted last autumn, overwintered, and was rewarded with a springtime bounty. Kale is fantastic in the spring, and overwintered plants get huge so fast. 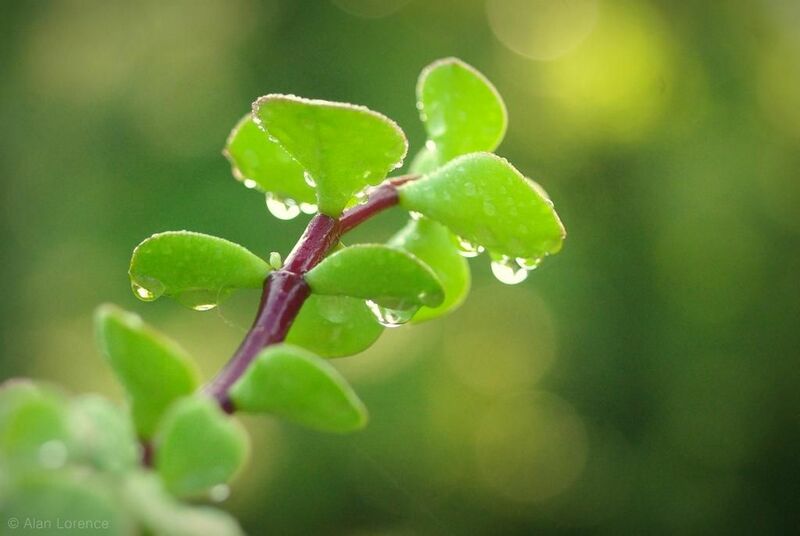 With no pests around (other than possibly some aphids) you get loads of pristine leaves too! But eventually the time comes when the plants start to fizzle and must be removed. 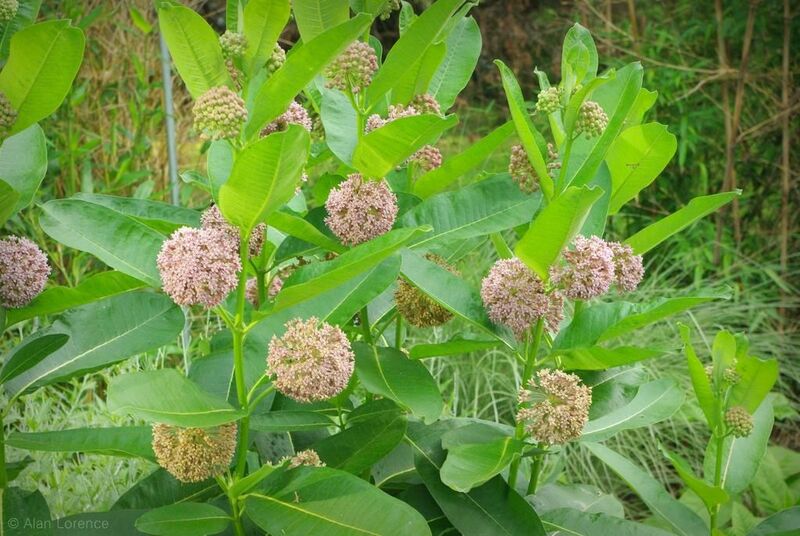 There's much being said these about the plight of the monarch butterflies, and how we gardeners can help them by planting milkweed. Some of you may have chosen to do this yourselves, but for me, the choice was made for me. 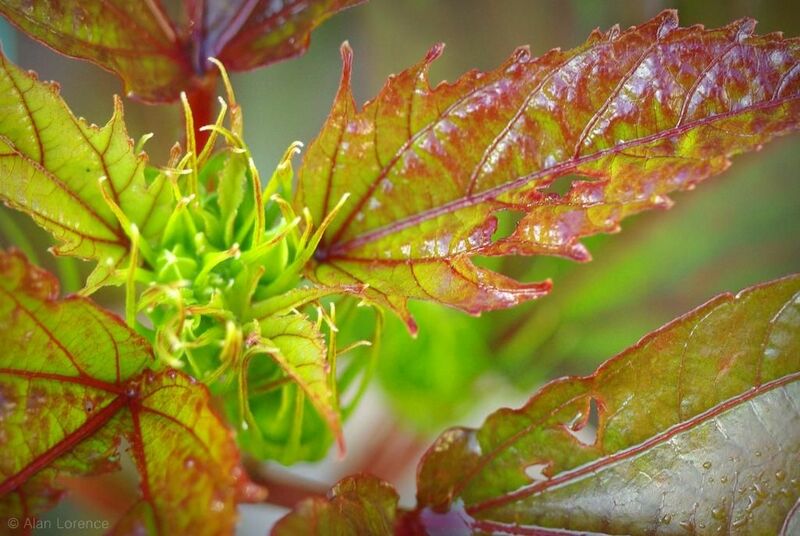 Last year a striking, large plant showed up in my garden, a volunteer seedling that I just couldn't pull out because of its bold look. It was later identified as common milkweek (Asclepias syriaca) and once I got a whiff of the blooms, well, I knew it was in my garden to stay. Not just another turtle sighting! I call it "the turtle" because reader TJ Hanna pointed out that wild turtles are quite territorial, so unless I see more than one box turtle at a time, it's most likely the same one. 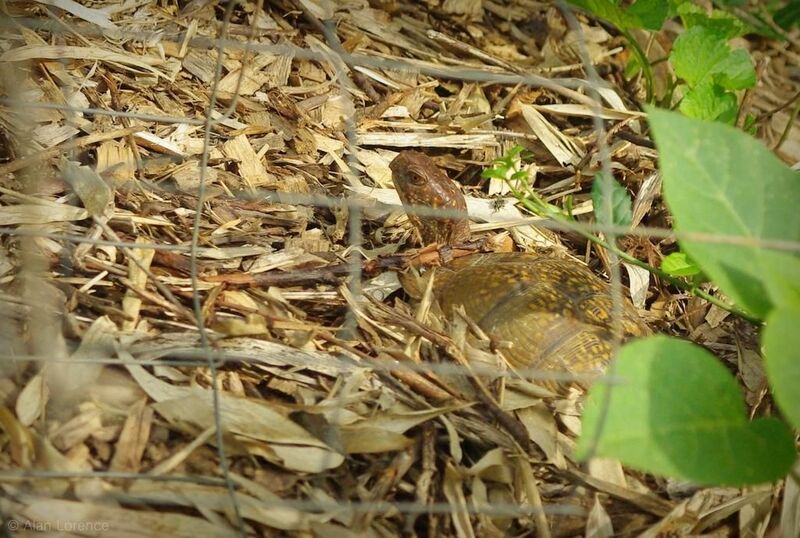 TJ also pointed out that this is a female turtle -- the eyes are brown in females and red in males. Feeling a bit out of it this morning after a week of meetings and travel, and a walk around the garden didn't really help: raccoons dug into a couple of dozen pots that were waterlogged since it rained quite a bit while I was away. So I had to spend some time replanting little colocasia tubers and digging through the muck. It was too wet to really enjoy the stroll but I did find a few things that gave me a bit of a lift. 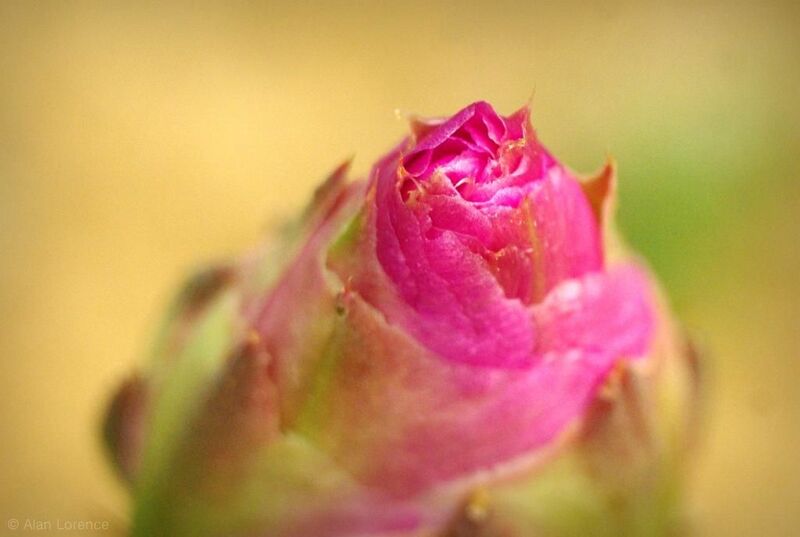 This is a new hardy hibiscus I'm planning on planting where my 'Grosso' lavender was. I can't remember the name right now, but it will add some foliar color to that section of the prairie beds. 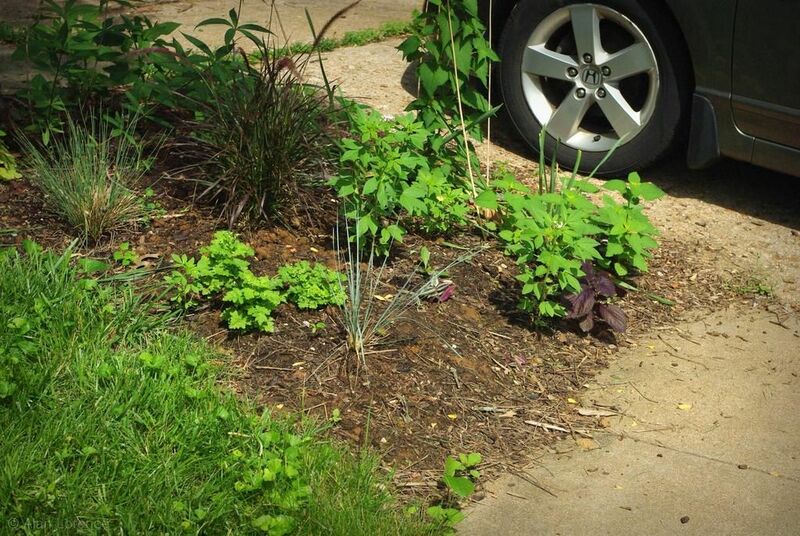 I realized something late last week: my walkway planting beds need to be wider. They also need more permanence, or year-round interest, as they're quite barren in the winter. So I decided to do a little turf removal, some plant shopping, and I think I did something good. 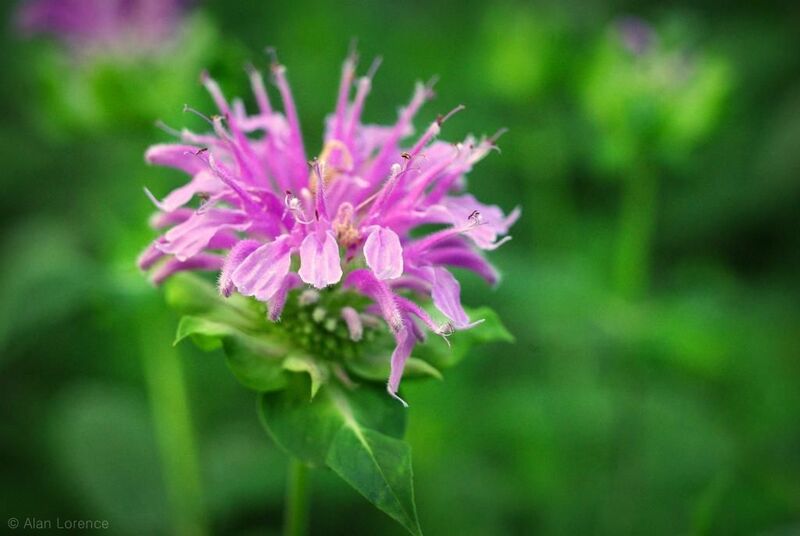 You know what activity allows you to get a really good glimpse at many of the corners of your garden, looking underneath leaves, searching for tiny insects to eat? (Not to eat myself of course, because if I were hungry for insects I'd be looking for the big ones.) Sprinkling baby mantises everywhere, that's what. I saw all sorts of things, but some of them were strange. 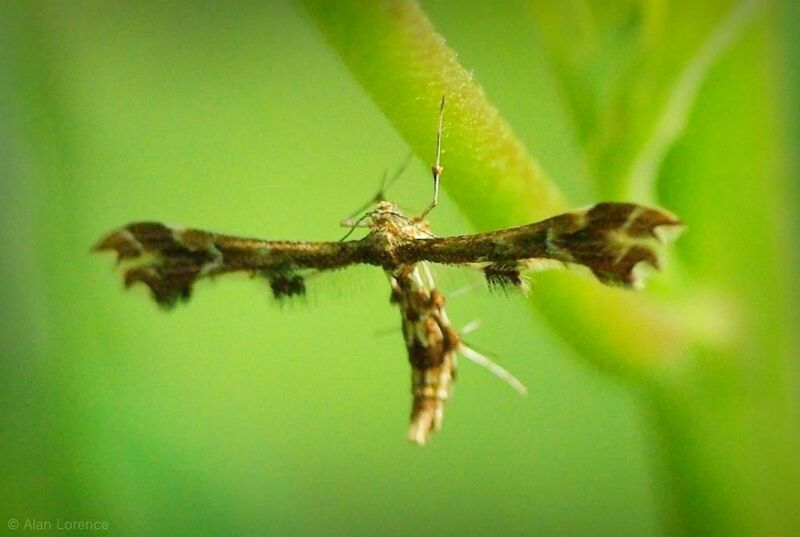 Like this... moth? 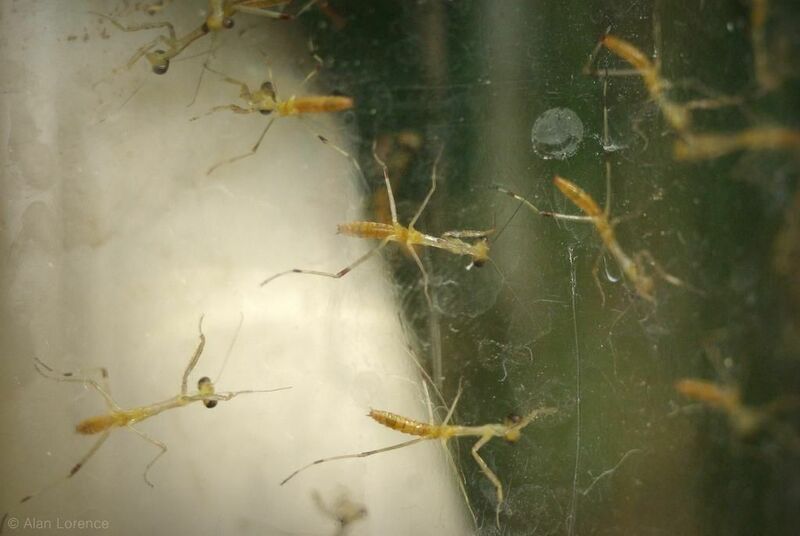 I knew it would happen very soon since the mantises in the yard have been hatching over the last week or so, but as the day for my business trip approached I was getting nervous. But Sunday morning I saw that their "empty" jar was no longer empty -- do you know what that means? 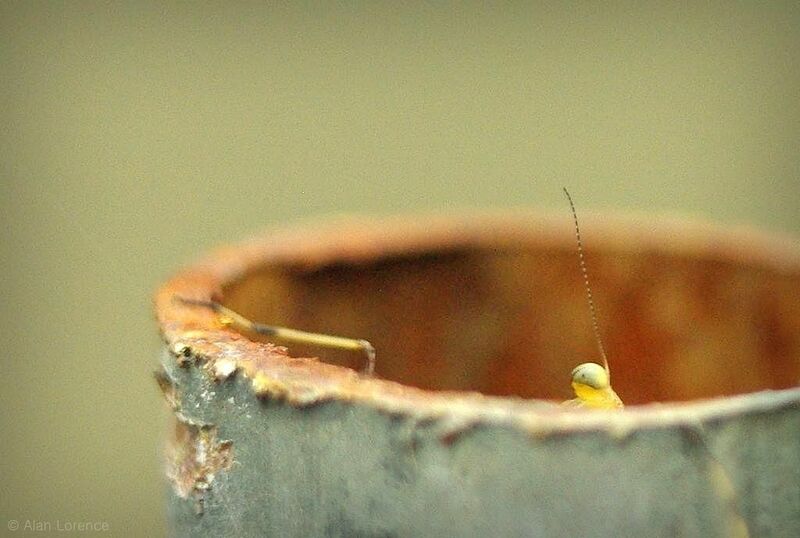 It means lots more photos of my favorite garden insect babies! I don't have time to say much today, which is sometimes how things go in the garden: you don't have time to do very much but need to make it look like you did. Here's an example: the bed next to the driveway and the front walk, well, it just looks sad. The weather has finally returned to normal (we had been in the mid-to-upper 80's for a few weeks), but I just haven't been in the mood to do much in the garden the last few days. Rain and maxed-out humidity levels probably didn't help, but as a result today's post is a bit of a mashup. 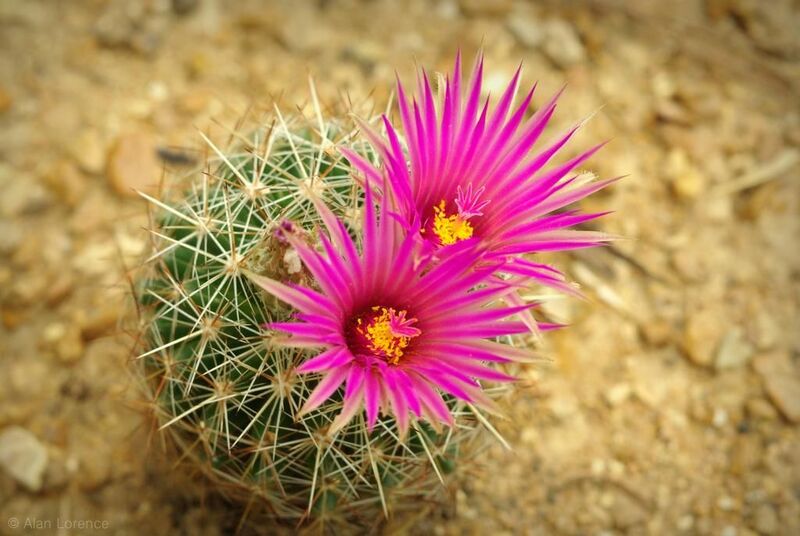 Starting with more cactus flowers though! The mantis egg cases under my deck have hatched, sending waves of tiny insect predators upward and outward. One that I didn't know about hatched a couple of days ago, then the one under the railing that I was keeping an eye on hatched yesterday. If you're like many people, you have a bird feeder in your garden or yard. You probably fill the feeders with a mix of seeds: sunflower, cracked corn, millet, possibly nyjer, and other small seeds that you can't identify. Maybe you've realized that most birds go for the sunflower seeds first, so you've switched to that and gave up on the mixes. 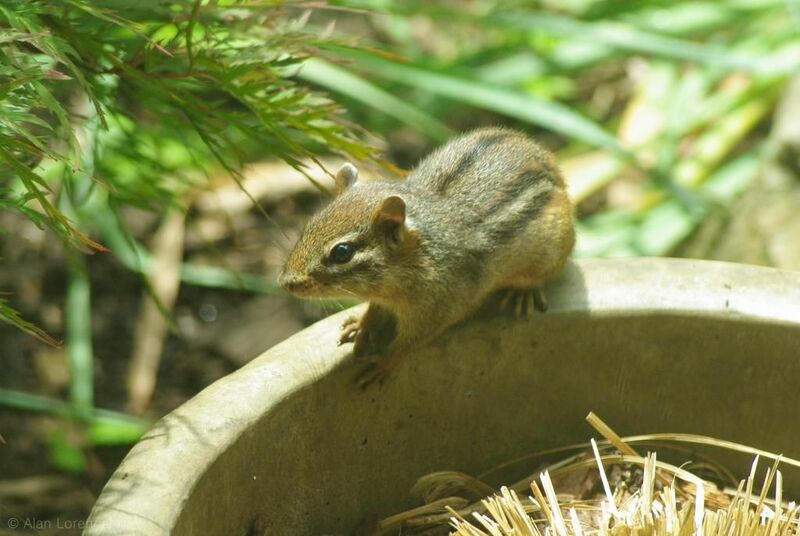 I know in my yard the small seeds from the mix always ended up on the ground, where squirrels and chipmunks stuffed their cheeks and filled their dens and food caches. I was fine with this to some extent, but when the grackles showed up and I watched them work as a team to empty my feeders in a matter of minutes, I knew I had to find an alternative. So I turned to safflower seed. I noticed something the other morning, just by chance as I was walking past the cactus bed. 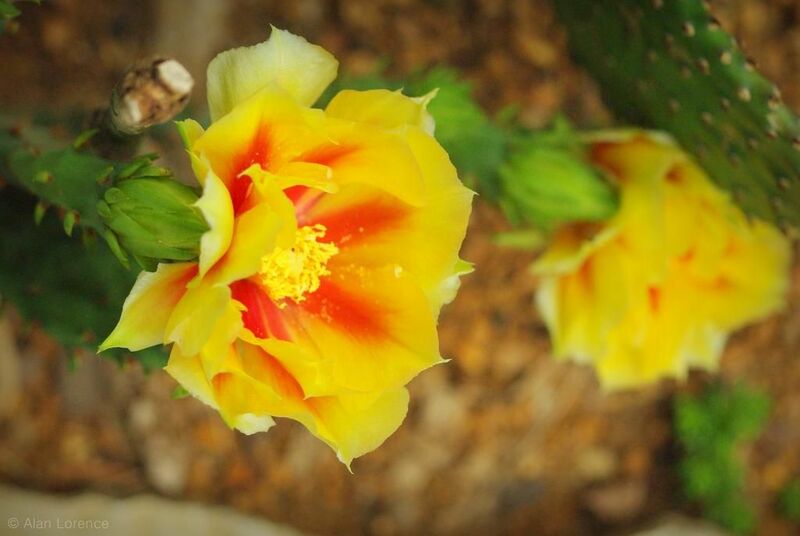 Yes, one of the blooms looked like it was getting ready to open soon -- and it's a cactus that I don't think has bloomed for me before! No, not the Final Frontier kind, although that's infinitely interesting too. "Space!" 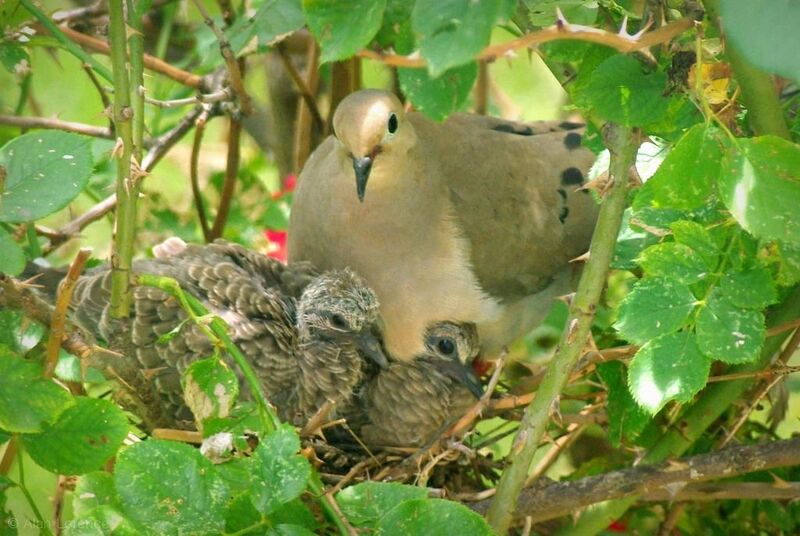 is what the mourning dove chicks are thinking about now, because they just don't have any!